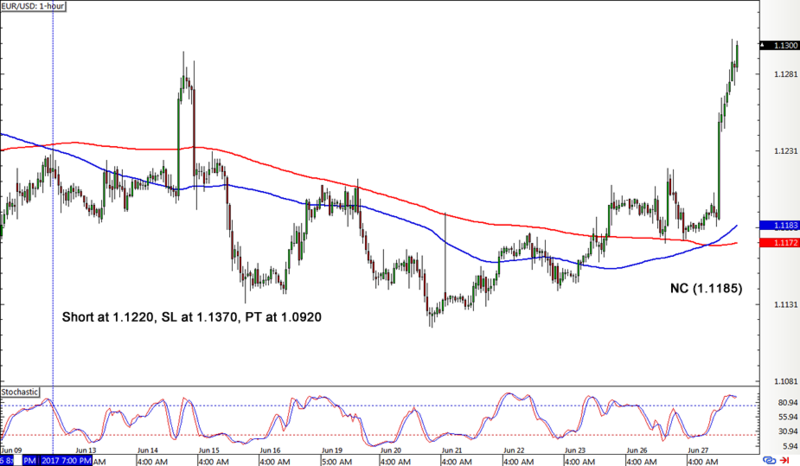 Euro pairs may have tossed and turned a bit too wildly in the past few days, but the SMA Crossover Pullback system managed to catch one big win! If you’re wondering what I’m talking about, make sure you look at the trading rules and risk management adjustments first. EUR/USD had a sell signal from the other week but bearish pressure wasn’t strong enough to get the trailing stop activated. The tide soon turned and a new upward crossover took place. 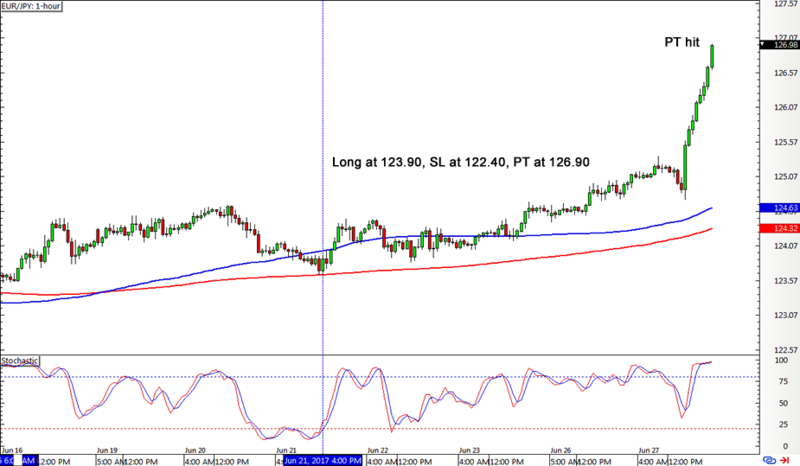 Fortunately, this early exit signal still managed to lock in some pips for the short position. 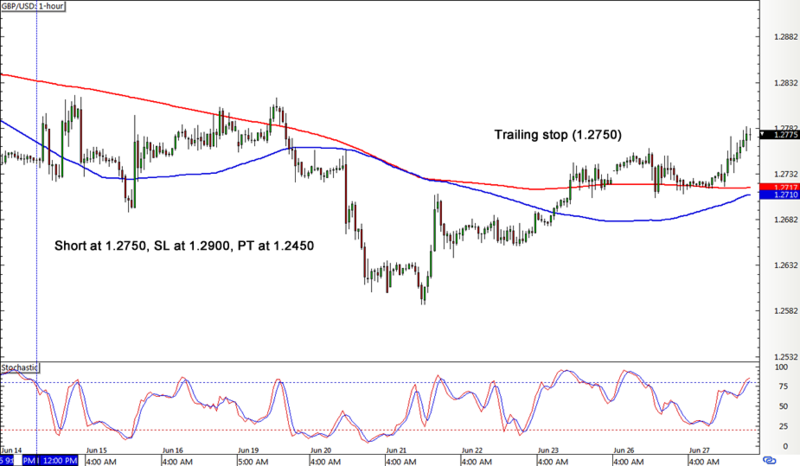 Cable looked like it was ready to make a new crossover towards the end of the other week, but the short position stayed in play enough to get the trailing stop in place. When price pulled up, the position was closed at entry, and it looks like a new crossover might happen soon. Lastly, EUR/JPY had its earlier short position closed on a new crossover, which was then followed by a stochastic pullback signal to go long. Bulls needed a bit more time to warm up, but they made a really strong charge lately… enough to take EUR/JPY to its profit target! Woot woot! With that, the SMA Crossover Pullback strategy ended up with a 335-pip win or a 2.23% gain on the account, erasing the losses from the past few weeks. Phew! The new crossovers on EUR/USD and GBP/USD could still generate more positions before the end of the month and quarter, so I’ll wait for those trades before rounding up the numbers for the period. Think this system could finish strong this month and end Q2 better than it did in Q1?